Introducing a unique modern Japanese presence next to Orchard Road, the luxurious Skyline at Orchard Boulevard will soar 33 stories above lushly landscaped greenery. 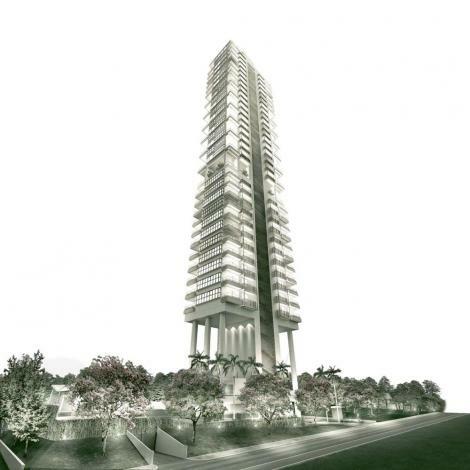 This landscaping has been conceived as a ‘layered horizontal space’ that compliments the vertical residential tower – In essence, a Linear Garden where spaces unfold in sequence. 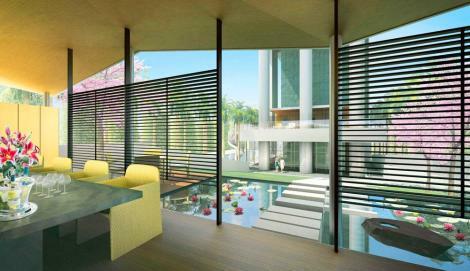 The perimeter of the Skyline at Orchard Boulevard is framed with verdant foliage to create a ‘forest-like’ effect and provide a cool green atmosphere. 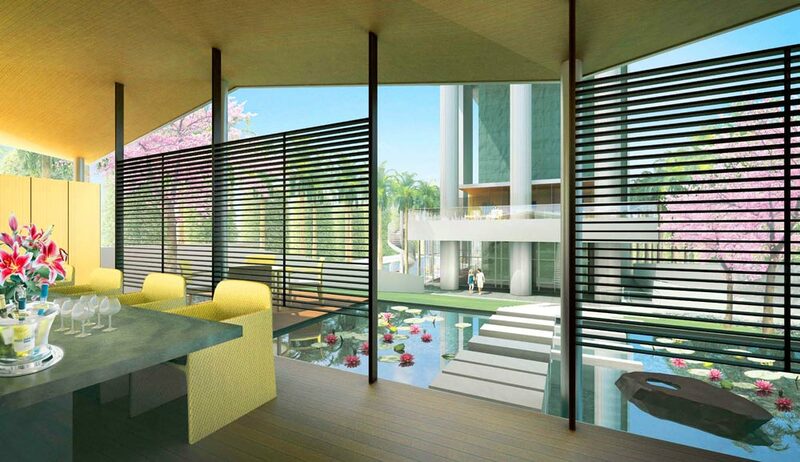 Two majestic palm groves flank the development, echoing the six tall columns that elevate the residential tower. 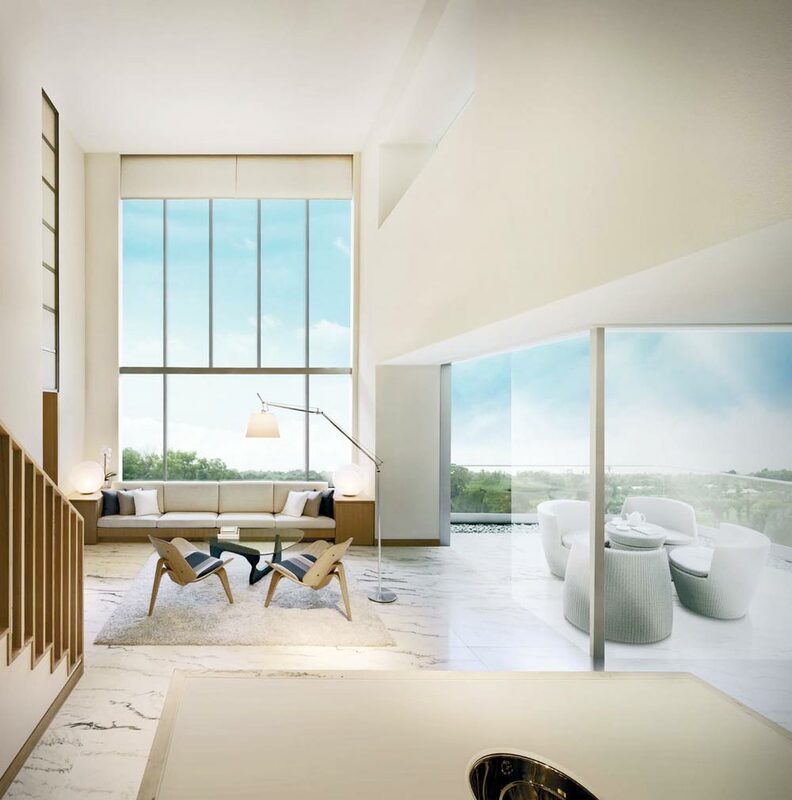 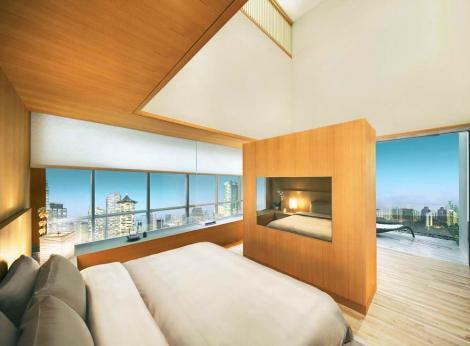 Each of the 40 exclusive apartments seamlessly flow from the core of the tower, taking full advantage of its location with breathtaking views of Orchard Boulevard and the Singapore skyline beyond. The use of warm toned materials in every residence provides a comfortable continuity between interior and exterior. 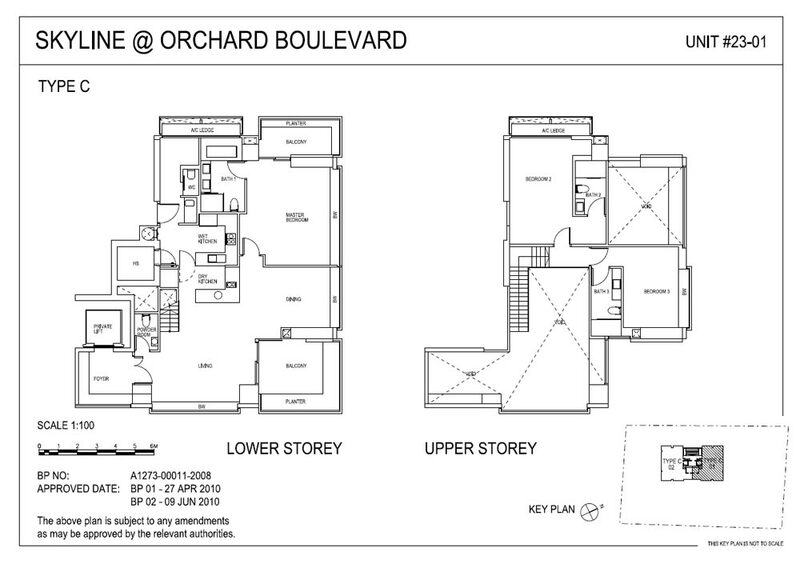 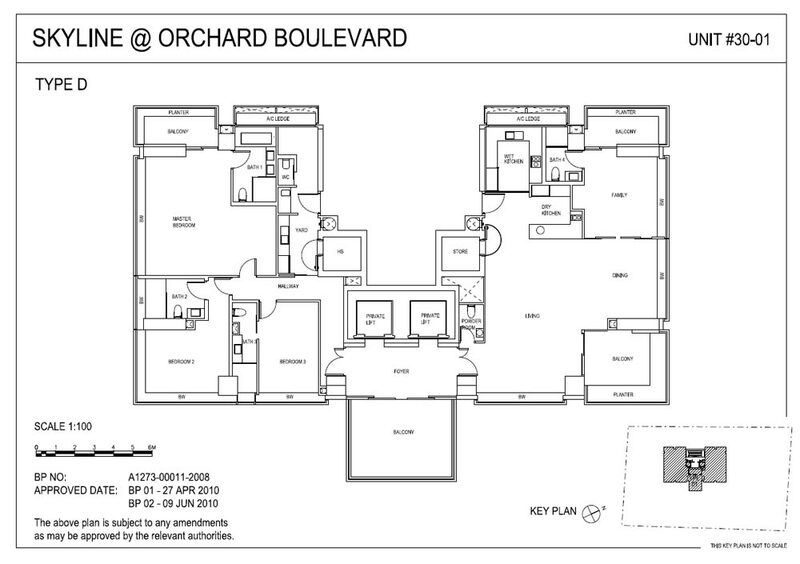 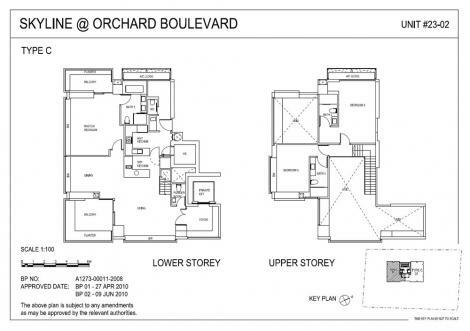 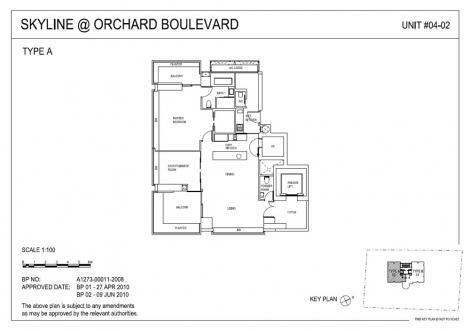 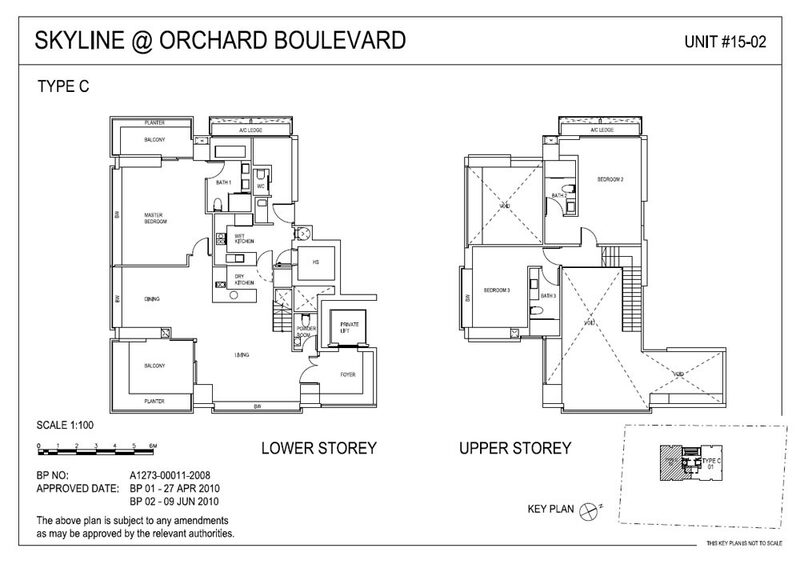 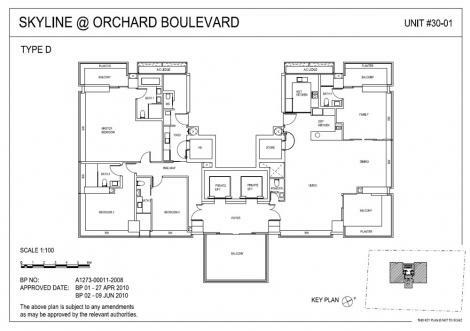 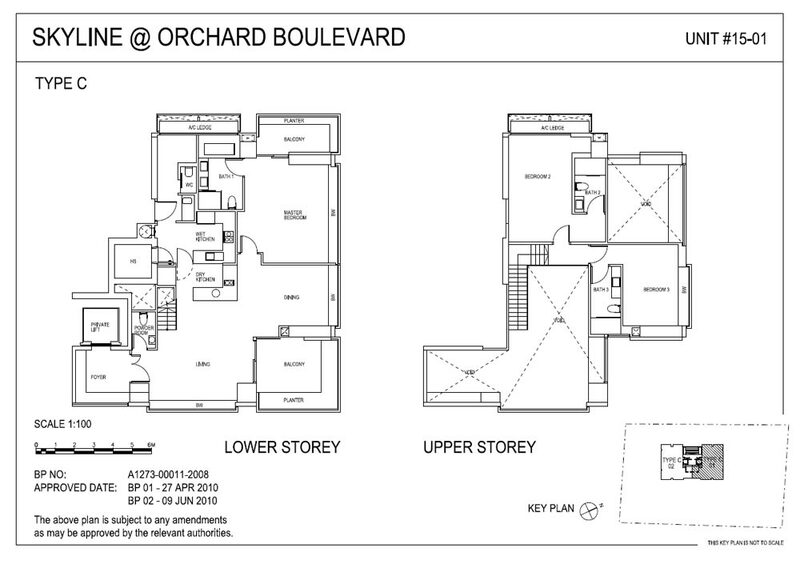 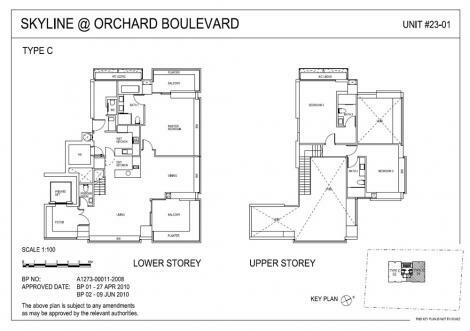 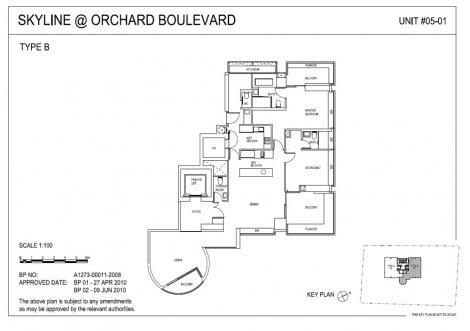 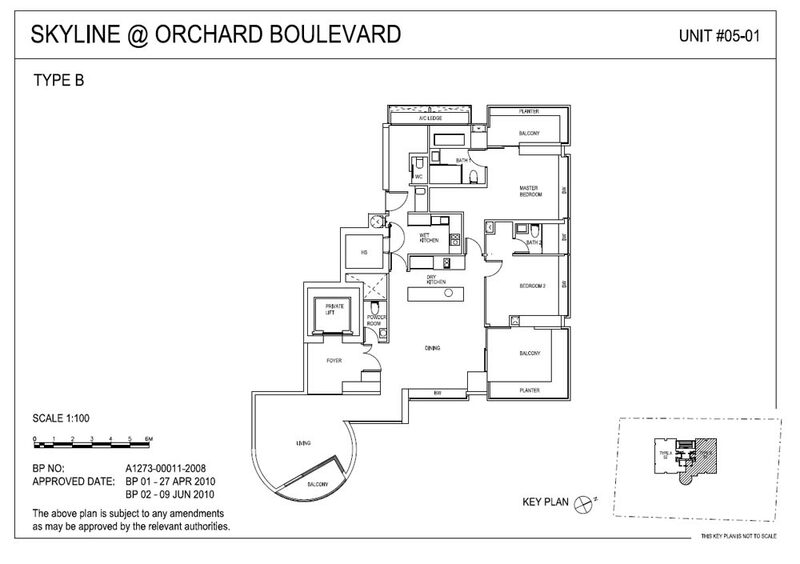 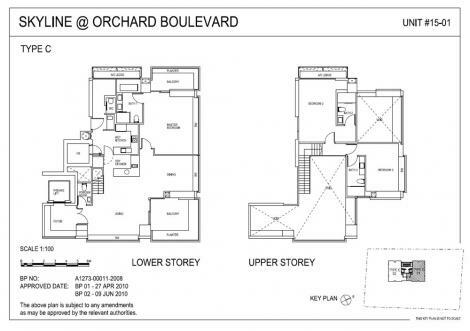 There are five apartment types to choose from, with sizes ranging from 162 sq m to 875 sq m.
Located at Orchard: an address known the world over. 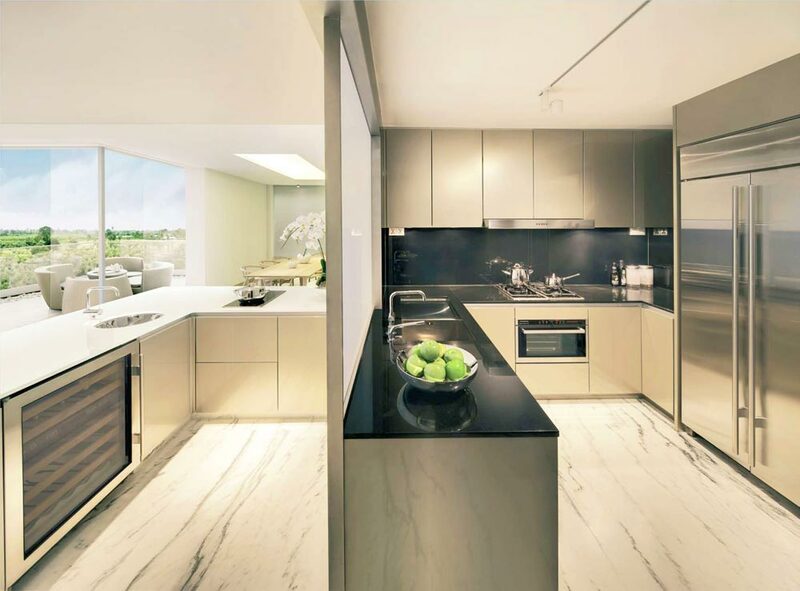 Along with Tokyo’s Roppongi Hills, New York’s 5th Avenue and Paris’ Champs-Elysees, Singapore’s Orchard Road is one of the world’s most prominent retail and dining destinations; undoubtedly one of Singapore’s premier addresses. 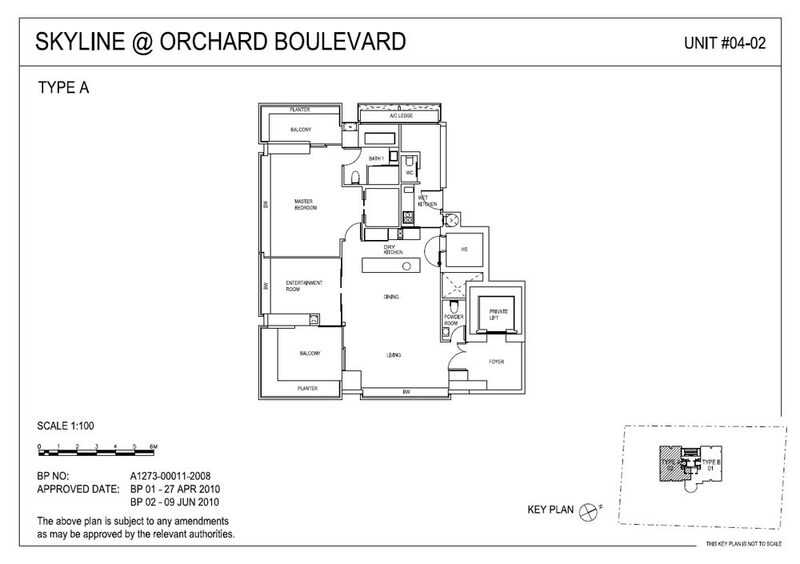 Future residents of Skyline at Orchard Boulevard are only a short walk away from the Orchard and Somerset MRT, offering easy access all around the city. 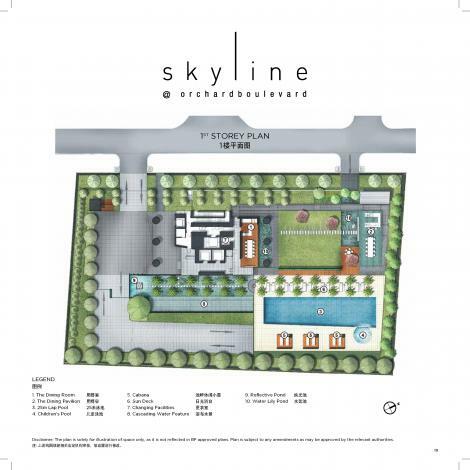 With major expressways like Pan Island Expressway and Central Expressway within vicinity, they can go to places like CBD and Marina Bay Sands with less than 10 minute drive. 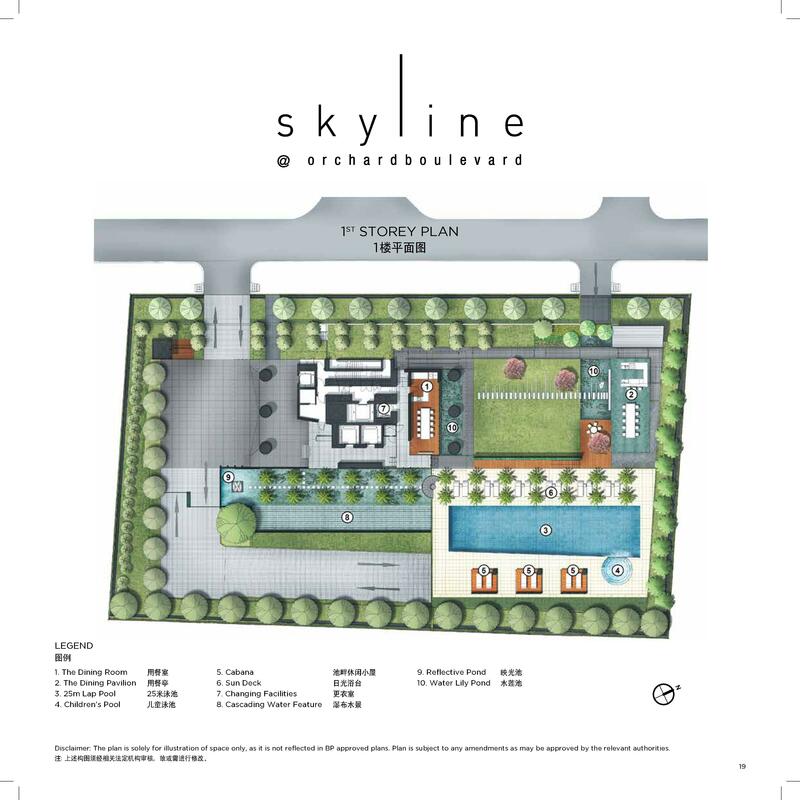 Being a short walk away from the prime Orchard Road, residents of Skyline at Orchard Boulevard are exposed to numerous shopping malls like Paragon, Takashimaya, ION Orchard, and also restaurants, cinemas, cafes, and many other amenities. 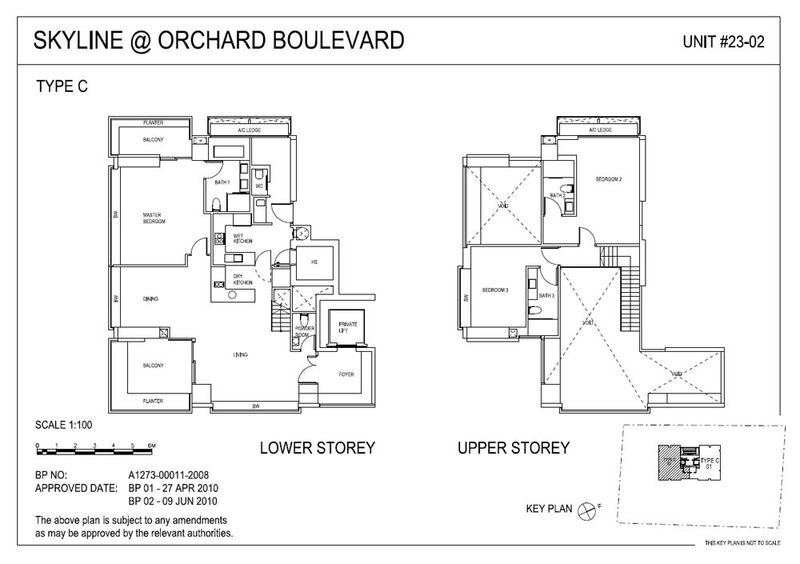 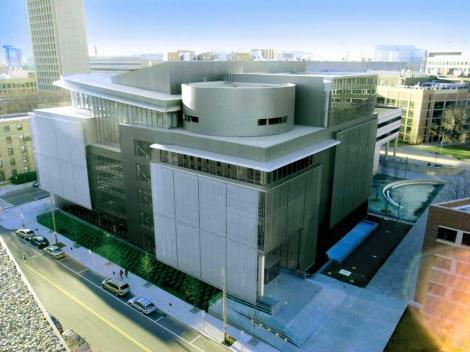 For daily amenities, they can go to the nearby NTUC, Cold Storage, and Threesixty Market Place. 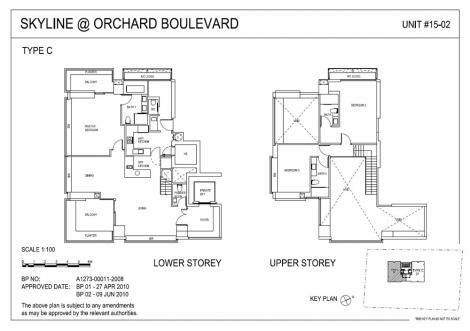 For families with school going children who are looking for an ideal home, all these schools are located within 2 km distance away from Skyline at Orchard Boulevard: ETON House Preschool, Anglo-Chinese School, River Valley Primary School, St. Margaret’s Primary School, Raffles Girls’ Secondary School, Crescent Girls’ School, St’ Joseph Institution, Singapore Management University, University of Chicago Graduate School of Business.